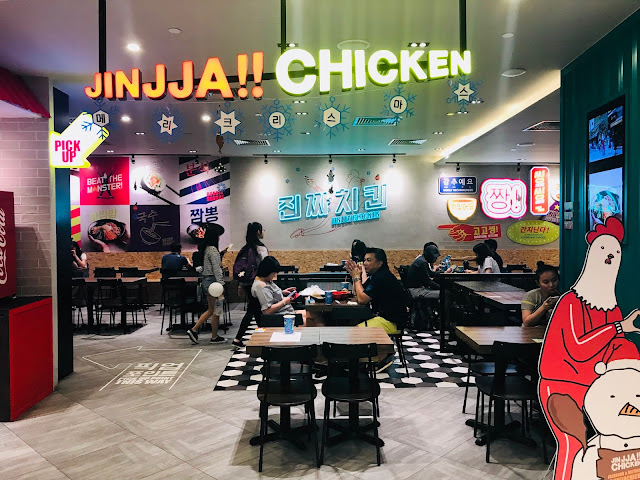 Jinjja Chicken is a new Korean fast food restaurant that I “stumbled” upon at the basement of The Clementi Mall. 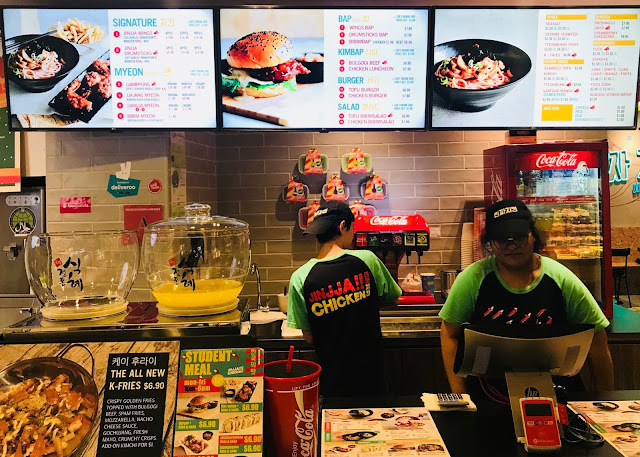 Originating from South Korea, Jinjja Chicken aims to take Korean fast food beyond just fried chicken and fries. 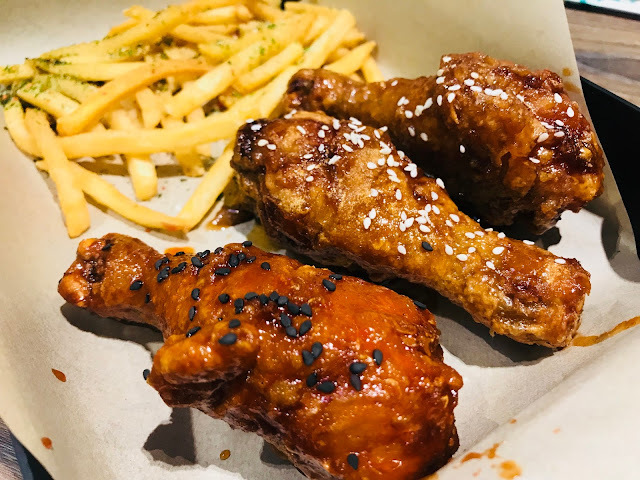 Jinjja Chicken serves Korean fried chicken wings and drumsticks, noodles which are known as “myeon” in Korean, rice dishes which is known as “bap” in Korean, Korean-style sushi known as “kimbap”, burgers and salads. 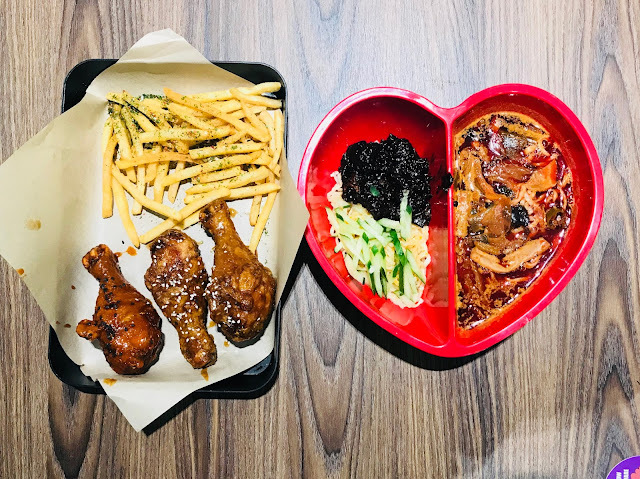 Jinjja Wings [$7.90 for 6 pieces; $14.90 for 12 pieces; $19.90 for 18 pieces] and Jinjja Drumsticks [$8.90 for 3 pieces; $16.90 for 6 pieces; $24.90 for 9 pieces] are both available in Soy Garlic, Yangnyeom (sweet and spicy), Monster (extremely spicy) and Mix (mix of 2 flavors). The drumsticks that I ordered are evenly coated with the soy garlic and yangnyeom sauces while the chicken meat remains tender and juicy. I highly recommend the yangnyeom flavour which is addictively sweet and not too spicy even for non-spicy eater like me. 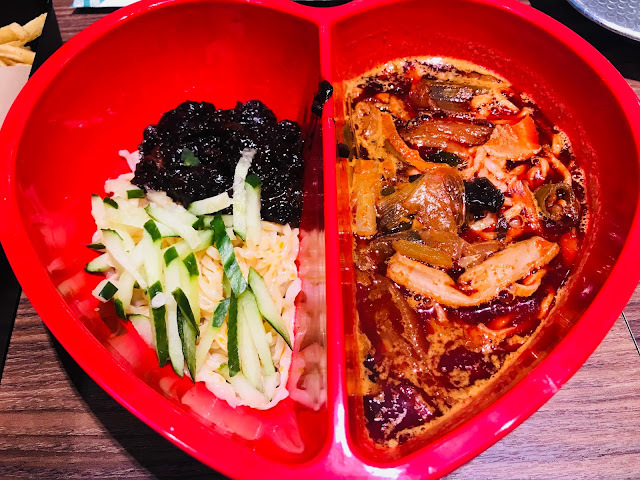 Jjamppong (Spicy Seafood Noodle Soup) [$10.90, choice of Orignal, Monster or Creamy] and Jjajang Myeon (Korean Black Bean Noodle) [$7.90 for Original; $8.90 for with Cutlet] are two of the most popular noodle dishes in Korea and they are available in Jinjja Chicken. 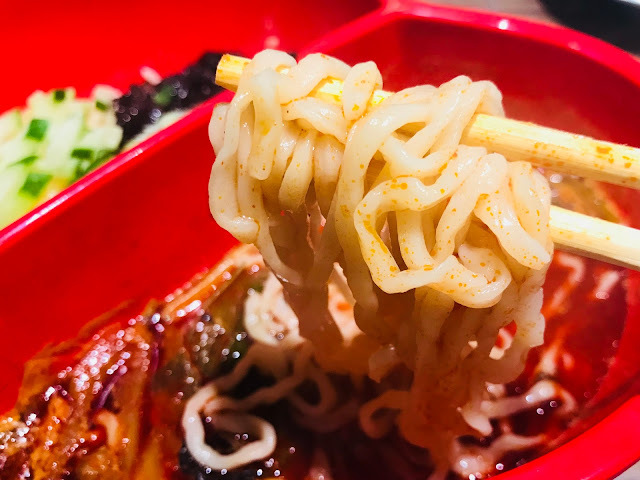 If you are like me and you want to try both but can’t finish two full portions, you can consider getting the Jjamjja Myeon [$11.90, choice of Original or Creamy]. I am not very impressed with both noodles. 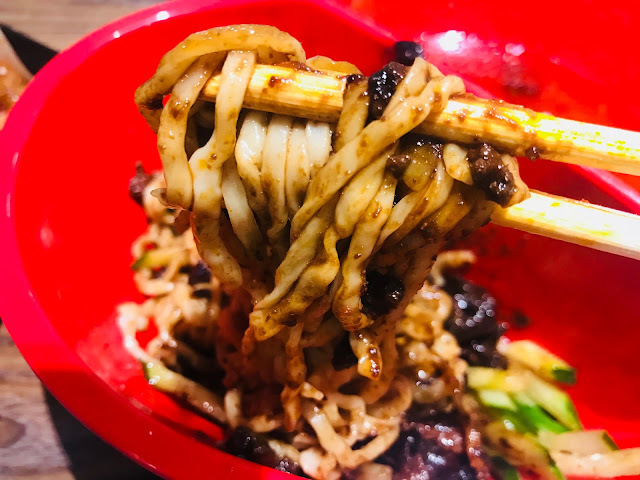 The noodles are way too soggy, the seafood soup is bland and the black bean sauce is nowhere as good as the Jjajang Meon I had at Guksu Restaurant. Jinjja Chicken is a great place to have a quick meal but I would skip the noodles if I were you. I would love to come back to try the bap, burgers, kimbap and salads. Addresses and opening hours of all 3 Jinjja Chicken outlets in Singapore can be found here.